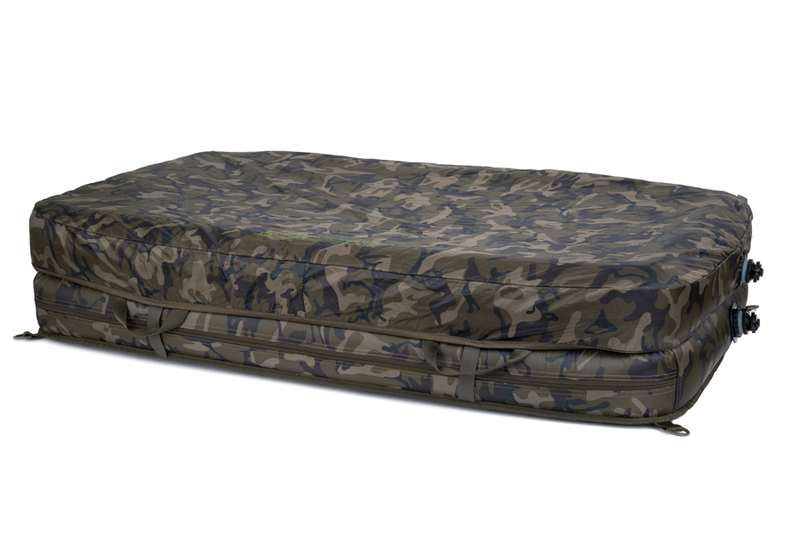 Inflatable unhooking mats might seem a luxury you can do without, but what can Fox bring to the market with the Carpmaster range? We can't review these mats without gazing at the price. It is, after all, what governs most of our tackle purchases in some way or another. These are, by any metric, extremely expensive unhooking mats. Do you need them? No. Will you want one? Well, that's a different matter altogether. A lot of money, but worth it? These aren't cheap lilos formed into an oversized tray, they are properly tough products that are, in terms of manufacturing costs, mini boats. There is no denying that Fox has produced a very, very capable inflatable unhooking mat here. They have been made in response to a large demand, according to the Essex tackle firm, and most of them will be sold on the continent. There are neat features like valves at one end, so when you deflate the mat you push air out in a single direction, keeping the valves open. The internal padded mat is also designed to wrap around the deflated structure in transit, and everything is super reinforced. You can also use these mats 'upside down', forming a more traditional mat shape that is easier to lift bigger fish from. But we can't escape the price, however justified it may be. If you're in the tiny minority of anglers who need a floating unhooking mat in all circumstances then this is quite clearly just about your best option on the market, but for the rest of us it would be a luxury purchase of the highest order.